SPECIAL 1-INCH THICK DOOR KITCHEN (10151) Well planned, meticulously executed, this space packs endless details and functionality into a small space while retaining a gorgeous appearance. The (FE-1) Square Edge provides a blank slate for your design and a minimalistic look that is the backbone of face frames. 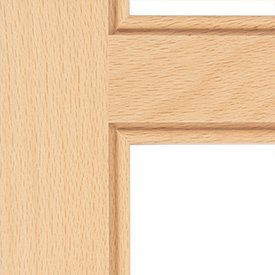 The (FE-2 Arrow) Arrow Inset Molding Face Frames gives just enough detail to be noticed without having a dominating presence. 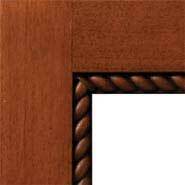 The (FE-2 Cord) Cord Inset Molding upgrades any cabinet with a slight detail that can be used to accent several home design styles. The (FE-2 Greek) Greek Inset Molding Face Frame provides a one-of-a-kind unique look with clean, geometric detailing. 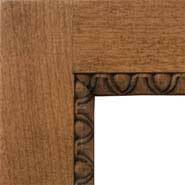 The (FE-2 Dart) Dart Inset Molding makes a statement with beautiful egg and dart detailing, accentuated with a glazed finish look. 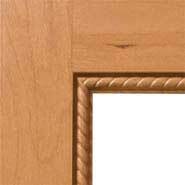 The (FE-2 Rope) Rope Inset Molding gives a distinct look and pairs well with our rope molding cabinet doors and insert moldings. The (FE-3) Square Notch modernizes the traditional beaded frame by giving it squared edges, a perfect to highlight clean, straight lines. The (FE-4) 1/8″ Half Bead combines traditional and modern frame beading by rounding one half of the bead but squaring off the edge of the bead. 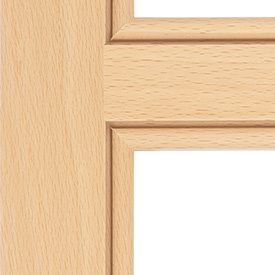 The (FE-5) 1/4″ Half Bead frame rounds half of the bead but squars off the edge of the bead that lines up with cabinet doors and drawer fronts. 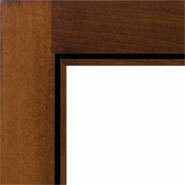 The (FE-6) 1/8″ Bead frame has a scaled down look compared to its larger counterpart, the 1/4″ (FE-7). 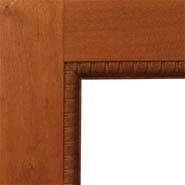 The (FE-7) 1/4″ Bead frame is one of the most popular beaded face frame options due to its just-the-right-size. The (FE-8) 1/4″ Bevel frame is a perfect option when beaded frames don’t meet the design aesthetic. The high-end haunch joint construction, customizable configurations, and ability to order assembled or un-assembled makes this program versatile enough for all project types while providing the best in quality. NEW … Live Video: Why Choose Decore? EXPLORE THE NEW ENHANCED STREAMLINE Decore-ative Specialties offers STREAMLINE™, a simplified process for ordering and quoting, ready-to-assemble frameless components! Streamline Base Cabinets, Upper, Tall Pantry and Panel, Stock, Fillers in Maple Melamine. How-To Streamline Account Setup: Easy to use videos that explain in detail how to setup your Streamline account, how to login to your account and how to get started building your RTA Frameless Components today! How-To Export an order from Streamline: This short video shows how to quickly export an order from our Streamline Software. If you have any question regarding this process please call Customer Service at 800-729-7277. With Anytime Online Account Management you can view, print and even pay for your Streamline invoices right from the convenience of your computer. If you’re not already registered to use Anytime® then simply click the Register Online link below, it only takes a minute to register and we’ll have your free Anytime® Account setup within 24 hours. Anytime® Online Account Management is free, simple to use, and provides many time-saving features such as the ability to build jobs with special modifications, use order templates for repeat orders, view pricing for orders as you build them, and leave partially completed jobs for modification and completion at a later time if needed. Whether you are just starting out as a cabinet maker or installer or you have been in business for years, developing and maintaining an excellent reputation is the only way you will ever be successful. Building a great reputation is not an overnight process. It takes time and it means never taking shortcuts. It also means never relying on cheaply made drawer boxes, 5 piece cabinet doors or poor quality materials in your jobs. Why is it so important to use only top quality drawer boxes and cabinet doors? It’s because these are frequently used and also high visibility items that can make or break your project. It is also important to stay far, far away from fly-by-night manufacturers whose products have the potential of failing or breaking. The last thing you need is for a homeowner’s 5 piece cabinet doors to crack, warp or fade over time because chances are your unhappy customer is going to lay the blame on you — the cabinet maker or installer — for a less than perfect kitchen, bathroom or closet. No cabinet maker or installer wants to put their sweat and best effort into a job, only to have his reputation attacked because he made a mistake when choosing an inexperienced manufacturer for his 5 piece cabinet doors or drawer boxes. Choosing the right supplier for your drawer boxes and 5 piece cabinet doors will ensure that all of your hard work will not be done in vain, that your finished job will reflect the quality of your work. A company such as Decore-ative Specialties, which has been in business since 1965, has the experience and the talented staff to create the high-quality products that you and your customers desire. In addition, Decore-ative Specialties can craft your 5 piece cabinet doors out of any available wood species and can finish them with its top-of-the-line finishes and hardware to complement the appearance of any room in a house. No matter what type of cabinetry you have created for your customer, Decore-ative Specialties can craft the finest 5 piece cabinet doors to complement your work. It is also especially important to work with a company who can get your 5 piece cabinet doors and drawer boxes to you in a timely fashion. Few things upset homeowners more than having a remodeling job take much longer than estimated. The disruption is aggravating to the homeowner and reflects poorly on your company, even when it is no fault of your own. Delivery time is yet another area in which Decore-ative Specialties excels. Because this company has five manufacturing facilities located across the United States, you know that you will receive your custom made, high-quality 5 piece cabinet doors and other items in a timely and prompt manner that will, in turn, aid you in getting your job done on time. It’s important to always remember that your reputation is the cornerstone of your business. Never be tempted to use cheap quality 5 piece cabinet doors or drawer boxes. The truth is that the little money you will save by using poor quality, cheap items will not be worth the dollars you will eventually lose if your company’s reputation is irreparably damaged. When a homeowner decides to remodel her kitchen, she often decides to change its styles, as well. One of the most popular styles of kitchens is Country because it is not only casually beautiful, but it is also very welcoming and friendly, as well. Although most people think mainly of American Country when they think of this cabinet door and matching drawer box style, there are actually two others. There is Country French, which is a charming and comfortable look that marries the rustic features of a French farmhouse with hints of Old World elegance. Guests in this style of kitchen should feel as if the French countryside and a garden full of fresh herbs await them just outside the door. English Country is another popular look for today’s kitchens. This is an earthy, attractive style that often incorporates stone or brick and lots of bare or white-painted wood. A properly done English Country kitchen should give a person the impression that at any moment a few fox hunters fresh from a morning’s ride might pop on by, looking for a bite to eat. Then, of course, there is the American style of Country kitchen, which is warm and welcoming and beautiful in an unpretentious way. It’s not surprising that so many people choose this casually elegant design for their kitchen. Changing your kitchen to one of these popular Country styles is not difficult. The most important step to changing the appearance of a kitchen is to replace all of the existing cabinet doors, drawer boxes and hardware with Country style ones. Cabinet doors and drawer boxes take up such a large percentage of the kitchen that they are really the “face” of a kitchen. They are what give a kitchen its identity. Homeowners should work closely with their kitchen cabinet installer or remodeling contractor to ensure that the cabinet doors and drawer boxes they choose exude the right Country feel for their home. They should also make sure that the cabinet doors and drawer boxes that are being purchased are of the highest quality and from a manufacturer that has been in business for a long time, such as Decore-ative Specialties, which has been crafting these items since 1965. Because cabinet doors and drawer boxes are used many times every day, it would be a huge mistake to try and save money by purchasing cheaply made ones from a fly-by-night manufacturer. Installers and contractors also must be careful not to let their customers talk them into buying cheap cabinet doors and drawer boxes because, in the end, if these should break or cause a homeowner grief, it is the contractor or installer who will be blamed. 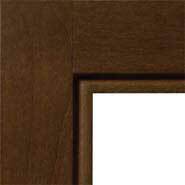 Another bonus of using an experienced cabinet door maker like Decore-ative Specialties is that it can offer a large variety of Country cabinet door styles, including ones with glass fronts and ones made from every available species of wood. In fact, no matter what style a homeowner decides on, French, English or good old-fashioned American Country, Decore-ative Specialties has the perfect cabinet doors and drawers to transform a kitchen into the one of her dreams. Whether your kitchen cabinets and drawer fronts look worn or outdated or you are just simply in the mood to transform the appearance of your kitchen, refacing your existing cabinets is a more affordable and quicker way to achieve your goal than installing completely new units. So what is refacing? It is a technique in which the existing cabinet boxes are left in place, but new cabinet doors, drawer fronts and hardware are installed in place of the old features. 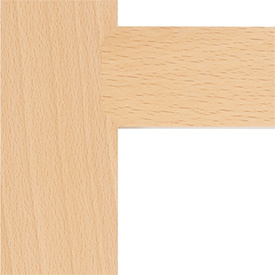 To complete the look, matching high-quality laminate veneers, such as DecoLam, are installed onto the side panels of your cabinet boxes so that they exactly match the new doors and drawer fronts. If a refacing job is done properly, your guests will be under the impression that you purchased all new cabinets. Before making a decision on whether to install completely new cabinets or to reface your existing ones, you will need to consider several factors. First, are you planning on completely changing your existing floor plan and moving cabinets around? If not and your cabinet boxes are still in good condition, then refacing your cabinets may be a good money and time saving option for you. Second, are you on a tight budget or just prefer to save money whenever possible? Purchasing new cabinets can eat up to 50 percent of your kitchen remodeling budget. Refacing your existing kitchen cabinets will cut your costs substantially, but still give you the updated, new appearance that you are seeking. Third, do you hate having your life disrupted for long periods of time? A typical refacing job can usually be completed in three to five days. In addition, your kitchen is still usable, to some extent, as your appliances will remain in place. Of course, it’s probably best not to try cooking when your contractors are trying to install your doors. A full kitchen remodeling project, on the other hand, can take much longer, possibly even months, and your kitchen will be pretty much off limits to you during this time. Most people find it rough living without a usable kitchen for a long period of time. Refacing is not a good idea, however, if your cabinets are in terrible condition or are of cheap construction. Putting beautiful drawer fronts and doors onto cheaply built cabinet boxes is like putting lipstick on a pig. On the other hand, if you do have good quality cabinets and decide to reface for an entirely new look or just to refresh your kitchen, you will probably be stunned by the beauty of your refaced cabinets, especially if you choose to use high-quality cabinet doors and drawer fronts from Decore-ative Specialties. Because this company also offers its DecoLam veneers to match its cabinet doors and drawer fronts, your refaced kitchen cabinets will have a seamless, finished appearance. Decore-ative Specialties also offers many different styles of doors, including ones with stylish glass fronts. Decore’s cabinet doors are also crafted in every available species of wood. If you want the look of a brand-new kitchen, but don’t want to invest huge amounts of money or time, then you should definitely look into refacing your cabinets versus installing new units. Some people claim that you can’t always get what you want. Well, these people have obviously never been a customer of Decore-ative Specialties! Not only do our customers get everything they would expect from an experienced custom cabinet manufacturer, they also receive services that they probably hadn’t even thought about. First and foremost, Decore-ative Specialties customers can expect to receive incredible customer service every time they call for a quote or place an order. We, at Decore-ative Specialties, know that it is because of our customers that we’ve been as successful as we have been over the years. Since it is very important to us that our customers are always happy and satisfied with our services, we have a very knowledgeable, friendly and experienced customer service department waiting to give them their undivided attention. One of the benefits offered by Decore-ative Specialties is the ability to place an order on the phone. Our customer service representatives are always happy to walk customers carefully through the ordering process and help them choose from our vast product lines of high quality cabinet doors, drawer boxes, deco-form accessories, hardwood and wood accessories. We will not place an order until we have verified that everything on it is exactly what the customer is expecting and that he is completely comfortable and confident with the accuracy of each item and feature. Clients who want to order online can simply register as a Decore-ative Specialties customer on www.decore.com and then request web access in the application. Once the application has been processed, customers will have the ability to order online and also manage their accounts. Decore-ative Specialties’ exclusive “Anytime Online Account Management” system allows customers to place orders, view their last five invoices or last five orders, ask technical questions, check the status of an order, and even import drawings from third-party software applications. In addition, our customers will never have to worry about their information when placing orders with www.decore.com as we offer secure online ordering. In addition to phone and internet ordering, our customers can also order our cabinet doors and drawer boxes, which are the finest made in the United States, by fax. Decore-ative Specialties offers two exclusive programs to its customers, Streamline, that will not only make their jobs easier, but will also allow them to be more productive, as well as be more profitable. Streamline is a user-friendly software design program that makes ordering our ready-to-assemble, frameless components and custom orders simpler. With Streamline, orders ship in six working days and are economically priced. Factory-quality finishes that will protect and add beauty to your cabinets and drawer boxes. These finishes are available in six different collections and include clear and specialty finishes, as well as stains. Customers who prefer to let the natural beauty of their wood shine through will love our Natural Collection, while clients who are seeking a more artistic appearance will delight in the offerings available in our Elite and Premium collections. Probably the most important thing that we have to offer to our clients is our experience. Decore-ative Specialties has been in the cabinet door manufacturing business since 1965 and enjoys an excellent reputation in the industry. 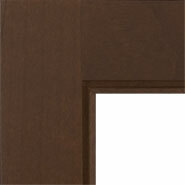 We are also able to offer an impressive variety of cabinet door and drawer box styles to our customers. Over the years, Decore-ative Specialties has added many new lines of products and styles, and we now have over 250 door styles from which to choose. We also have the ability to create custom-sized products out of any available wood species, RTF, laminates, as well as veneers. 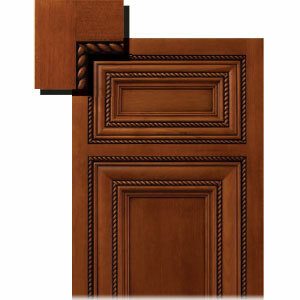 In addition, Decore-ative Specialties can manufacture for its customers almost any custom door design imaginable. To facilitate ease of ordering, all of our color catalogs, which showcase our standard cabinet door styles, drawer boxes, deco-form accessories, hardware and wood accessories, are available online All of our customers also have access to our exclusive pricing catalog online, and we also provide a large national staff of on-call professional salespeople for our larger accounts. In most houses, the kitchen is the heart of the home. It is also where most gatherings, formal and informal, occur. Even when a party has been carefully planned to occur in the living room or basement, people always seem to migrate naturally to the kitchen, so it’s especially important that this room is welcoming and attractive. A beautiful kitchen with all the bells and whistles is also one of the first things that home buyers look for when searching for a new house. If your kitchen is outdated, changing the cabinet doors can make a huge difference in the appearance of this room. Nothing else, not even brand new granite counters or shiny, new appliances, will transform the look of your kitchen more than the addition of beautifully made custom cabinet doors. This is especially true if your current kitchen cabinet doors are cheap builder-quality laminates that are peeling or are chipped. Because the right cabinet doors can make the difference between having a ho-hum, average kitchen and a spectacular one that wows your guests, it is important to discuss with a cabinet installer or your remodeling contractor what your vision is for your kitchen, as well as your budget. Do you love the look of frosted glass doors, or are you disorganized and the last thing you want is for people to be able to see into your messy cabinets? Are you striving for a modern, traditional, country or upscale look? Are you interested in getting designer cabinet doors? These are just a few of the questions you will need to ask yourself and then discuss with your remodeling contractor or closet installer before starting your kitchen renovation. Once, you’ve decided the look that you want for your new kitchen, it is time to get down to details. For the best results, your kitchen cabinet installer or remodeling contractor should be working with an experienced cabinet door manufacturer, such as Decore-ative Specialties, which has been in business since 1965. This company offers over 250 different styles of doors and can also create cabinet doors out of any available wood species. Decore-ative Specialties also carries an extensive selection of hardware and accessories from which you can choose to further customize the doors to your taste. 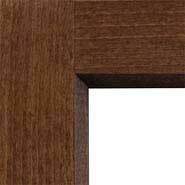 When choosing your cabinet door manufacturer, it is also important to find out the company’s production capabilities. Remodeling can be very disruptive to your lifestyle, so the last thing you want is to have your renovation project stalled while you are waiting for your custom cabinet doors to be completed. Here, too, a company like Decore-ative Specialties has a leg up on its competitors. This cabinet specialist has five manufacturing facilities, which means faster production and delivery of your doors. Once your kitchen remodeling project is completed, don’t forget to change the cabinet doors in the other rooms, of your house to match. Having bathroom cabinet doors and closet cabinet doors that match the ones in your kitchen will give your home a beautifully finished appearance. This is especially true for bathrooms, which tend to have the most cabinet doors of any room besides the kitchen. Custom cabinets will help to organize and maximize the available space in your kitchen. They will also give the kitchen a face lift and achieve a new look for the whole room without completely remodeling the entire kitchen. When done right new kitchen cabinets can add value to a house that will pay off if and when the house is sold. There are many cabinet makers in the U.S. Finding one to custom make the cabinets you want should not be difficult. Designing cabinetry is relatively easy these days, with the help of computer software. You can design your own or have the cabinet maker design them with your input to get exactly what you want and need. Unless you have a local cabinet maker come to your house and measure the space available for the cabinets you will need to do the measuring yourself. If you order custom made cabinets from a remote source you will need to provide the measurements so they will know the size of the cabinets to build. When you decide on a design the cabinet maker can scale the design to fit the space available. There are a lot of choices when it comes to new cabinets. There are different door styles, finishes, pull-out pantries, built-in spice racks, wine racks and many more options to choose from. But custom cabinets can be expensive, so you should focus on quality materials as well as good looks. Pay special attention to the types of hinges and other hardware, and the pieces that hold the cabinets together. Some on the less visible aspects of the cabinets are what makes them last a long time or fall apart relatively soon. Make sure you understand the quality that you are getting for your money. Sometimes it makes sense to spend a little more to get higher quality; after all new cabinets are a long term item for most homeowners. Custom cabinets can go as high as you want depending on the materials and the design. If the design calls for a lot of fancy and elaborate carpentry work you will pay for it. But you get what you pay for and having high quality cabinets can add value when it comes time to sell the house. So, at least in theory you should be able to re-coop all or part of the investment later when the house is sold. On the other hand if you skimp on the quality of the cabinets you may find yourself re-doing them again in order to be able to sell the house, in which case the cabinets will end up costing much more in the long run. It is important to carefully plan the purchase of kitchen cabinets and to think long term when doing so.